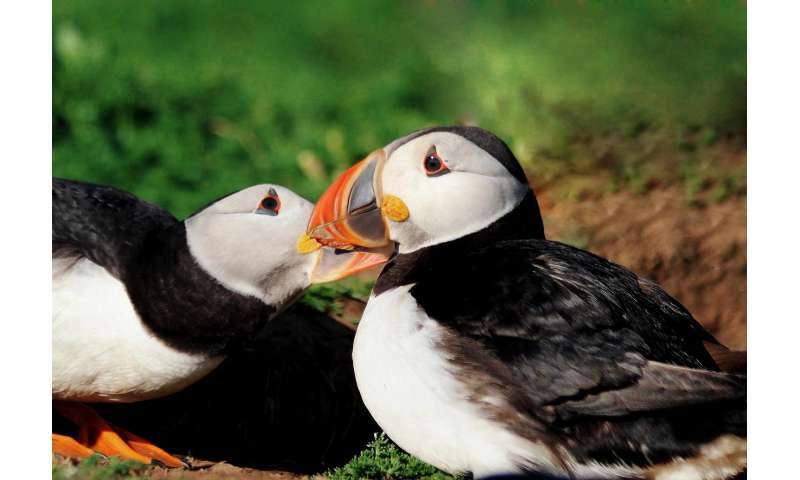 Puffin pairs that follow similar migration routes breed more successfully the following season, a new Oxford University study has found. The new study which features in the April 7th 2017 edition of Marine Ecology Progress Series, focused on whether puffin pairs stayed in contact during the winter months or instead headed off and migrated independently, prioritising their individual health and wellbeing, and whether this had any effect on the pairs' subsequent breeding success. Over the course of six years, the team from Oxford's Department of Zoology, in collaboration with the London Institute of Zoology, used miniature tracking devices called geolocators to track the migratory movements and behaviour of 12 pairs of Atlantic Puffins, breeding on Skomer Island, Pembrokeshire. They assessed if and how much pairs' migratory strategies were related to their future breeding performance and fitness. 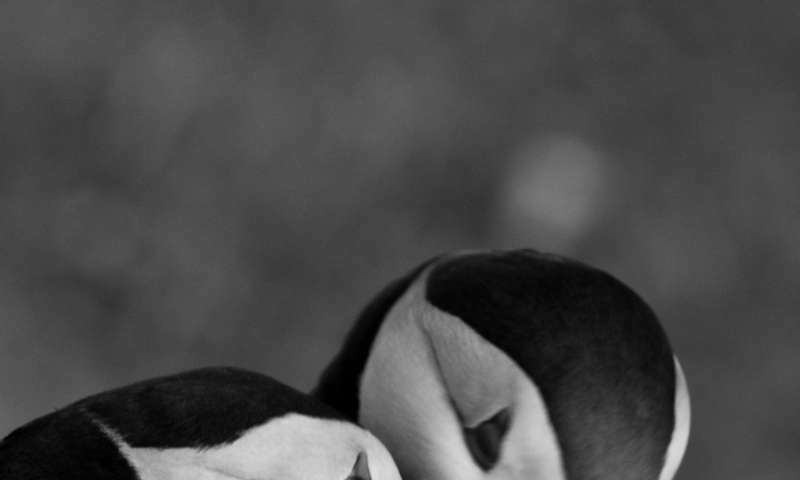 More information: The full paper 'Within-pair similarity in migration route and female winter foraging effort predict pair breeding performance in a monogamous seabird' is available to download from Marine Ecology Progress Series.